An increasing number of support services have evolved to help with elderly early dementia coping strategies. 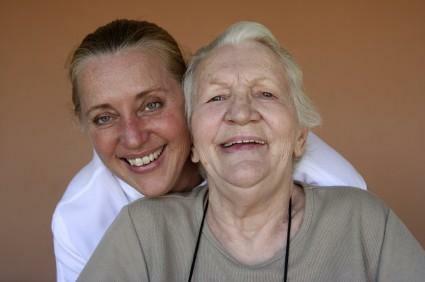 These services support both the person suffering from the condition, along with the caregiver. The primary cause of dementia is the death of brain cells. The death of the brain cells is a natural, progressive occurrence, not caused by any particular acute medical episode. Alzheimber's disease is the most commonly recognized cause of dementia, but there are several less well known causes such as Huntingdon's Disease, Multiple Sclerosis, and Fronto-Temporal dementia, to name a few. Dementia in the elderly is a condition that can be extremely difficult to diagnose in the early stages. Sometimes due to subtle changes in behavior or mood, it can take a significant period of time, and a trained eye, to establish if this behavior is likely to be permanent. Often physicians are not comfortable diagnosing dementia until there has been six-month duration of both behavioral and psychological symptoms. Due to the complexities of early diagnosis, offering support and coping strategies to relatives and caregivers is often delayed. For the individual suffering from the disease, acceptance of the condition is often a difficult process, with denial being one of the biggest issues to cope with. In many cases, the sufferer may not even be aware of the subtle changes in their actions or behavior, and if they are, attempts to conceal these can be a further problem. Patients are encouraged to be open about the condition. In cases of early stage dementia, individuals can isolate themselves because of fear that relatives and those in close contact will detect their altered behavior. Due to a tainted mental capacity, those people suffering from the disease often struggle to comprehend new and complex information. They deal with it by rejection of others, and refusing to accept their new circumstances. Offering constant reassurance and allowing the sufferer to talk about their fears and anxieties is extremely helpful. The dementia patient will also undoubtedly experience a reduction in short-term memory function. Therefore, it is often necessary to repeat information or directions for tasks. To watch a relative or loved one go through the anguish of early onset dementia can be a painful experience. Not only that, dealing with the individual's behavioral changes such as forgetfulness, aggression and other heightened emotions, can have practical repercussions, as both sufferers and caregivers are often reluctant to accept these changes and decline an offer of help. For those suffering with the condition, there is also an element of danger. It is common for people to leave the gas oven on, or forget to close the front door, thus making themselves vulnerable to physical harm. For the caregiver, the constant anguish that such things could occur can be a living nightmare. This leads to the requirement of increased home visits to ensure the elder's safety is maintained. For many sufferers and caregivers, the sheer lack of knowledge they have about the condition and its associated problems are the biggest hurdles. Elderly early dementia coping strategies can be accessed via local mental health services. These specialized agencies are most qualified to offer the most direct and appropriate care options. Most importantly, don't access help only after you reach the "breaking point". At the first hint of a problem, reach out to your local services, initially approaching the general practitioner. Referrals to hospital specialists can sometimes be lengthy, therefore the sooner help is requested, the quicker it will be available. An increase in phsyical medical support is not always necessary. However, psychological support and practical help is often welcomed. Mental health agencies are also able to offer information and advice about accessing much needed domestic services, such as the provision of meals for a relative that remains in their own home. The maintenance of personal dignity and privacy plays an important part in assisting individuals to cope with their condition. For many early dementia sufferers, medication is available to aid some of the distressing feelings they experience. The use of anti-depressant and tranquilizing drugs is common, and many individuals benefit from this supportive therapy. Carergivers need to ensure that drugs are taken consistently for the best results. As a caregiver, it is crucial that you consider yourself first. If you are stressed and exhausted supporting your friend or relative, then you will be of less use to them. Depression is a widespread condition among caregivers. Search for help and advice from local or national support groups. These groups create an invaluable information source and are able to offer practical advice. Being able to talk about feelings of frustration, anger and helplessness as a caregiver is important too. It may be necessary to receive counseling to act as a further coping strategy. Supporting a relative or friend with an incurable condition can also generate feelings of grief, similar to that of bereavement. Being able to work through the emotions is extremely useful. Make plenty of "me time." When caring for someone else in dire health, often you sacrifice the regular things in life. Reward yourself for all your hard work and dedication. Most importantly, remember when supporting someone in the early stages of the disease process, that the journey is likely to be a very long and challenging one.